Eugenia asa-grayi Krug & Urb. Eugenia floribunda H.West ex Willd. 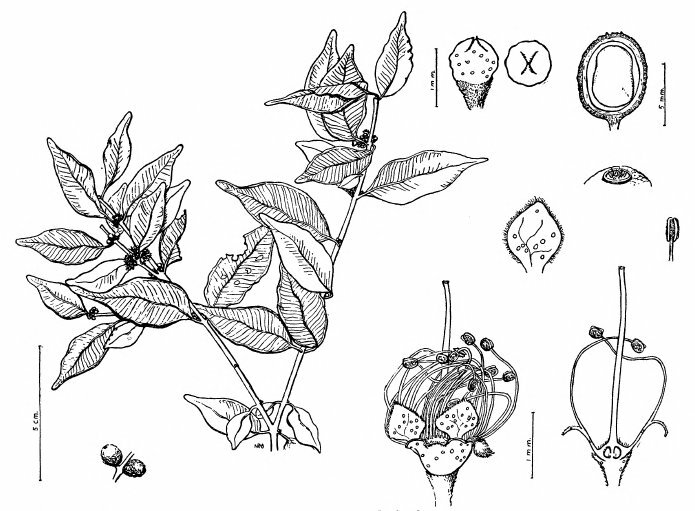 Marlierea cubensis (Griseb.) Krug & Urb. Myrcia cubensis (Griseb.) Krug & Urb. Myrtus floribunda (H.West ex Willd.) Spreng. Myrtus micrantha Nees & Mart. Plinia asa-grayi (Krug & Urb.) Urb. The plant is harvested from the wild, mainly for local use of its fruit, but also for medicines and wood. A very attractive plant, it is often it also cultivated in gardens, both for its fruit and as an ornamental. S. America - Argentina, Paraguay, Brazil, Bolivia, Peru, Ecuador, Colombia, Venezuela, the Guyanas; C. America - Panama to southern Mexico; Caribbean.